Rain Leaping Up When a Cab Goes Past. Runner-up for the 2011 Robin Becker Chapbook Prize, this chapbook was selected for publication in volume two of our Editor’s Series. 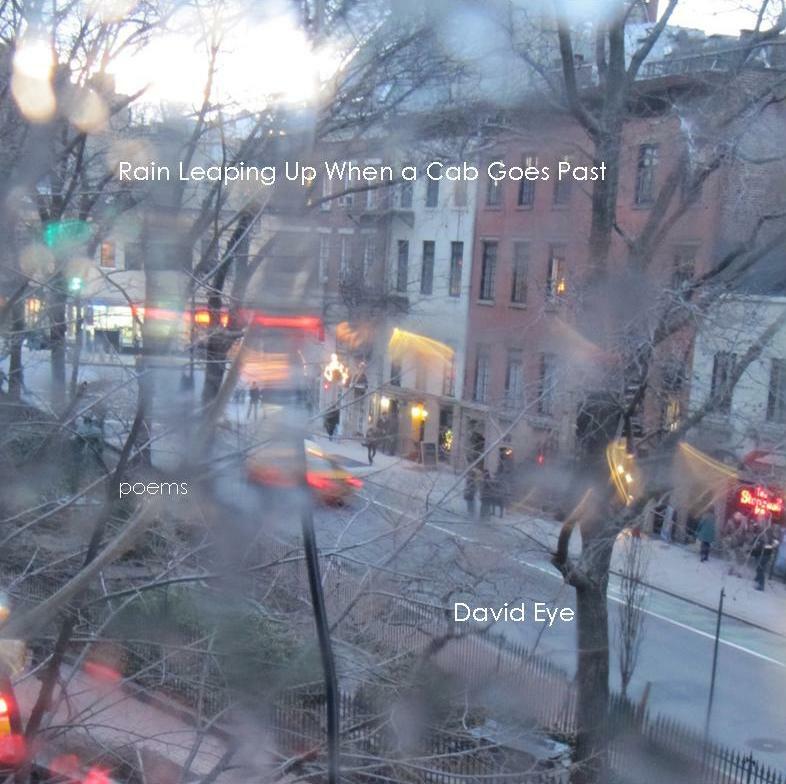 Cover image: “Rain on Sheridan Square” by Judith Meyerowitz. David Eye‘s poems have appeared or are forthcoming in Bloom, Cider Press Review, Consequence Magazine, Lambda Literary Review, Puerto del Sol, Stone Canoe, and others. David earned a midlife MFA from Syracuse University in 2008, and served as Visiting Assistant Professor of Creative Writing at Manhattan College from 2010-2013. He now teaches at Cazenovia College and Syracuse University. stick to walls, they bob and click. from the white hotel down to the water’s edge. Playa la Ropa, beach of upwashed clothes. yourself to find what you have lost. blue and you can’t breathe. you wade chest-deep in the warm blue bay. When the cold rain taps your skin, you listen. dancing on your upturned face.